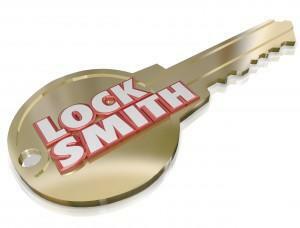 Locksmith Mesa | Local 24 Hour Service | Metro Lock & Safe Inc.
Do you want a quality local locksmith? Locks are an important part of your home or office. They help protect you and your belongings, and should be reliable. So when they have a malfunction it’s important to get a trusted professional to install or repair your locking system. 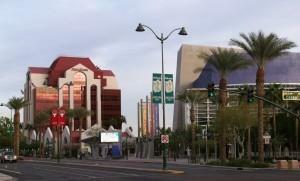 As a 24-hour locksmith in Mesa, Metro Lock & Safe Inc. are the professionals you’ve been looking for. Our response times can’t be beat! Not only do we have someone on call around the clock, but we offer a 20 minute response time. Guaranteed. You shouldn’t have to wait around for someone to show up, especially when your business is in trouble. Lockouts and other security issues can halt business and cost you money. The faster you get your problems resolved, the sooner you can get back on schedule and get back to your life. No matter what you need, we’re there. Residential Lock Services – One of the primary duties of a locksmith Mesa residents need are lock services. We provide complete lock services including installation, replacement, and repair. With a variety of locks from the best manufacturers, we have the right parts on hand and provide quick installation. Commercial Services – When locks at your business aren’t working like they should, it can cripple operations. We provide combination changes, repairs, replacements, and installations for a variety of lock types from every manufacturer. We’re familiar with mechanical locks as well as digital measures like key-codes, fingerprint locks, and Bluetooth/FOB connected mechanisms. Security Services – Your security trifecta wouldn’t be complete without a great system. Our technicians are also security experts, and can provide consultations to help you create the best system for your needs. That includes alarm systems as well as internal and external security. We can also assit you with integrated monitoring systems and access control that can keep you in control and totally aware of your surroundings. Whether you need new locks installed, replacement locks put in, locks repaired, or you have been locked out, we’re ready to help. We can help with your commercial and residential needs. As a mobile locksmith, we carry a majority of the products and tools required for repairs on-hand, and perform fast diagnosis and professional work. Our professional technicians work hard to take care of your needs in a timely, friendly, and courteous fashion. Customer satisfaction is a high priority, so give us a call or Contact Us for locksmith services today!